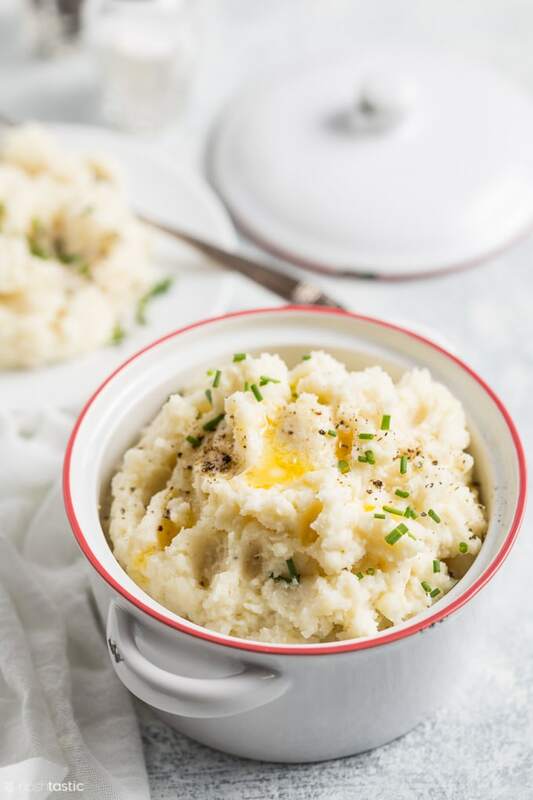 Cauliflower mashed potatoes are an excellent low carb alternative to the real thing and much faster to cook. 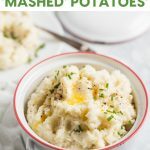 They are deliciously creamy and a perfect side keto side dish. I’ve added some tasty cheese to my mashed cauliflower recipe and it really cranks it up a notch, I think you’ll love it! I prefer to add the cauliflower back to the pan I cooked it in right away (make sure there’s no water left) as it’s still hot and it makes it easier to melt the butter and cheese, and saves me using another bowl. Now simply add the butter, cheese, mash it or use a hand blender to make it smooth and season to taste! Serve with a little butter or sour cream on top and a sprinkling of fresh chives. A delicious low carb alternative to the real thing! Remove the leaves and stem of the cauliflower and cut into several large chunks. Add water plus a steamer basket to a large pan then add water and bring to a boil, add the cauliflower. Cover and cook for about 6-8 minutes, or until just tender. 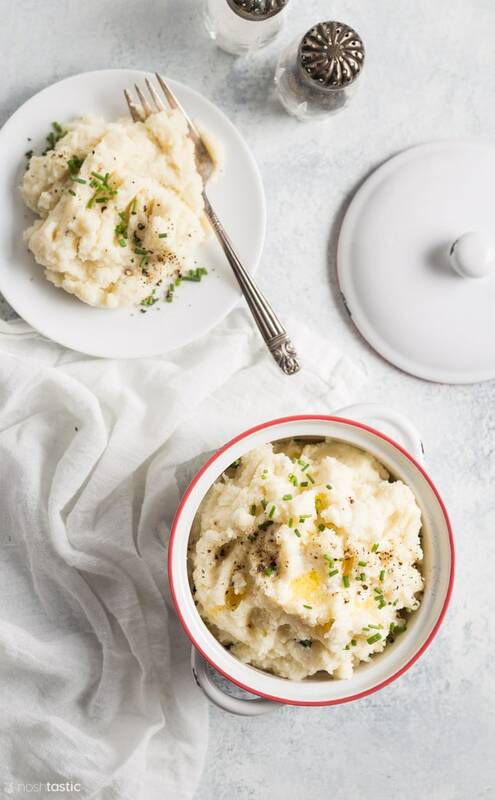 Remove the cooked cauliflower and drain the pan completely of all water, then immediately return the cauliflower to the hot pan and add the grated cheddar cheese, butter, salt, pepper, and mash or blend until smooth using a hand blender. If you want to add a little garlic, you could add about 1/2 tsp garlic powder at this stage. Serve immediately and top with a sprinkling of chopped chives, and a dollop of sour cream if you like.